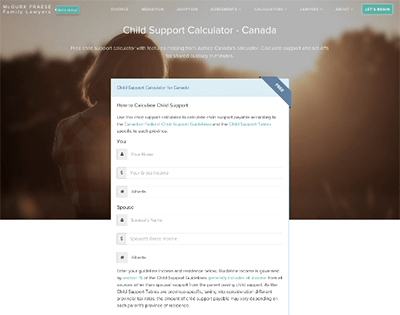 Use this Saskatchewan child support calculator as a means to determining the possible base amount of monthly child support payments a person might have to make in a Saskatchewan child support action. Saskatchewan’s Family Maintenance Act allowed the province to adopt the Federal Child Support Guidelines in applying amounts. Justices in the Saskatchewan Court of Queen’s Bench are able to vary the basic amounts based on the circumstances of each individual case. Those who might become recipients of child support payments will at least be able to get a basic idea of amounts through use of this calculator. Saskatchewan’s Court of Queen’s Bench handles all matters related to child support. Like most courthouses, each location has a wealth of information made available to the public through informative pamphlets and brochures. The Court of Queen’s Bench administrative staff members are also available to assist you in pointing those in a child support action to the right service agencies depending on the type of assistance required. Those who may not be able to afford qualified legal counsel can be directed to the Saskatchewan Legal Aid office immediately to apply for assistance. It is important to note that anyone who might be involved in a Saskatchewan child support matter outside of Regina and Saskatoon check with their local court authorities to see where any paperwork must be filed. 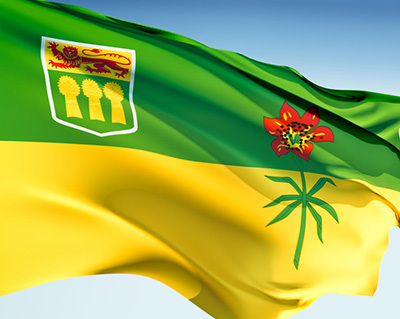 Each region in Saskatchewan will have different places where paperwork must be filed, and where informative brochures can be obtained. For clarification on Saskatchewan child support guidelines, it is important that you contact a lawyer and/or the local courts administration office in your area. For more complicated situations involving shared custody or split custody, this advanced child support calculator can automatically calculate setoffs and tax consequences. 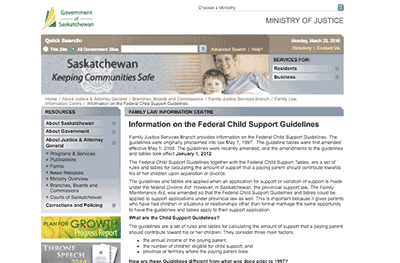 Information on the Child Support Guidelines from the Government of Saskatchewan.